L.L.L4L.L.L. : The report is delivered to my door!! 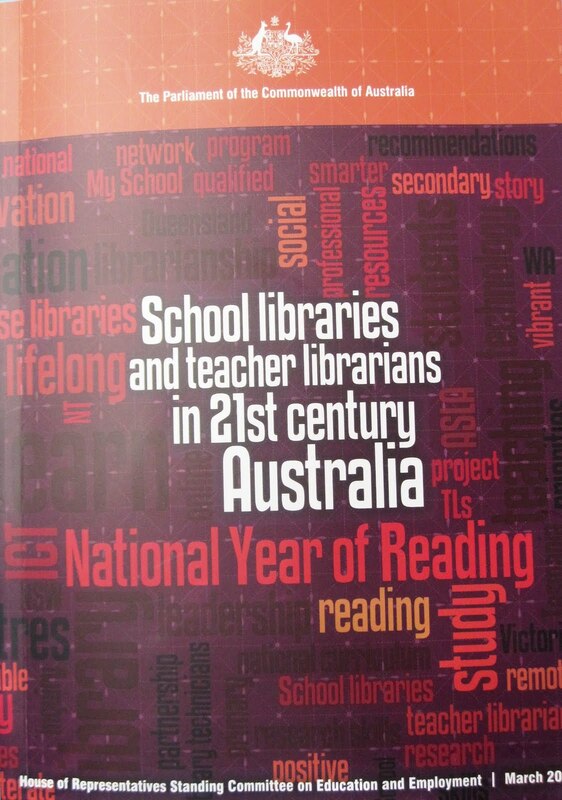 to have received a copy of School Librarians and teacher librarians in 21st Century Australia from the House of Representatives Standing Committee on Education and Employment. If you did not receive your own personal copy it is available for download. This report is comprised of preliminary pages, 6 chapters and 4 appendices.